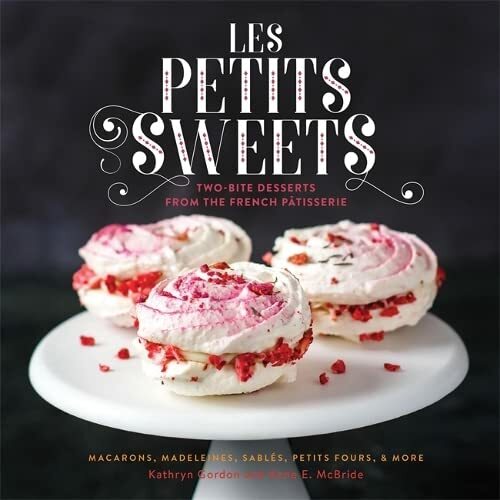 [PDF] Les Petits Sweets: Two-Bite Desserts from the French Patisserie | Free eBooks Download - EBOOKEE! Description: The French way is the petite treat: two delicious bitesâ€”just a tasteâ€”of a sable, madeleine, petit four, nougat, caramel, or other dessert that packs a sweet punch. With the tiny desserts featured in Les Petits Sweets, you can taste more than one, or have a dessert-tasting party to try them all. And try them you must: with flavors like Earl Grey, lavender, cardamom, cassis, apple-yuzu, and more, it will be impossible to choose just one. Classic French techniques explain each recipe from start to finish. Go ahead, have dessert first. No comments for "[PDF] Les Petits Sweets: Two-Bite Desserts from the French Patisserie".